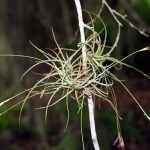 Distribution and habitat: Tillandsia usneoides is a flowering plant that grows upon larger trees, commonly the Southern Live Oak (Quercus virginiana) or Bald Cypress (Taxodium distichum) in the south-eastern United States. It grows hanging from tree branches in full sun or partial shade. 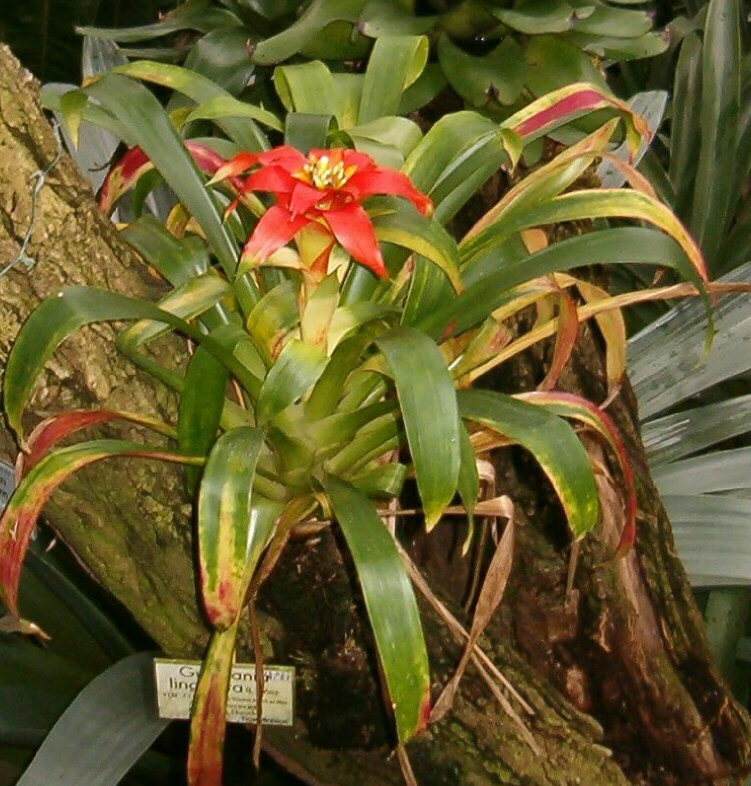 Its natural range is from Virginia Beach, Virginia in the south-eastern United States to Argentina, growing wherever the climate is warm enough and has a relatively high average humidity. 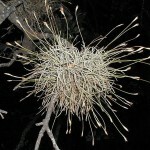 It has been introduced to similar locations around the world, including Hawaii and Australia. 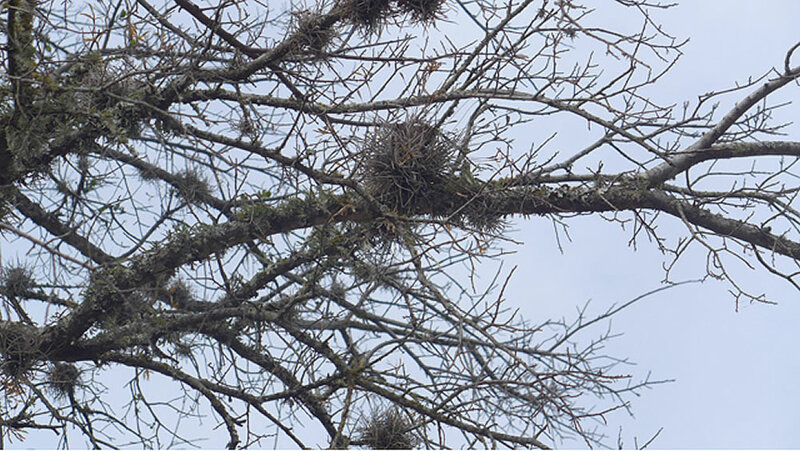 While it rarely kills the trees, it lowers their growth rate by reducing the amount of light to a tree’s own leaves. 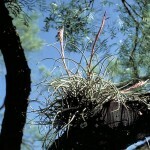 It also increases wind resistance, which can be fatal to the host tree in a hurricane. 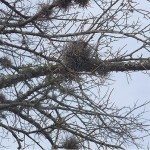 In the southern United States, the plant seems to show a preference of growth on Southern Live Oak (Quercus virginiana) or Bald Cypress (Taxodium distichum) because of these trees’ high rates of foliar mineral leaching (calcium, magnesium, potassium, and phosphorus) providing an abundant supply of nutrients to the plant, but it can also colonize other tree species such as Sweetgum (Liquidambar styraciflua), crepe-myrtles (Lagerstroemia spp. 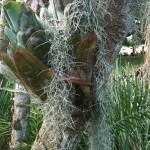 ), other oaks and even pines. 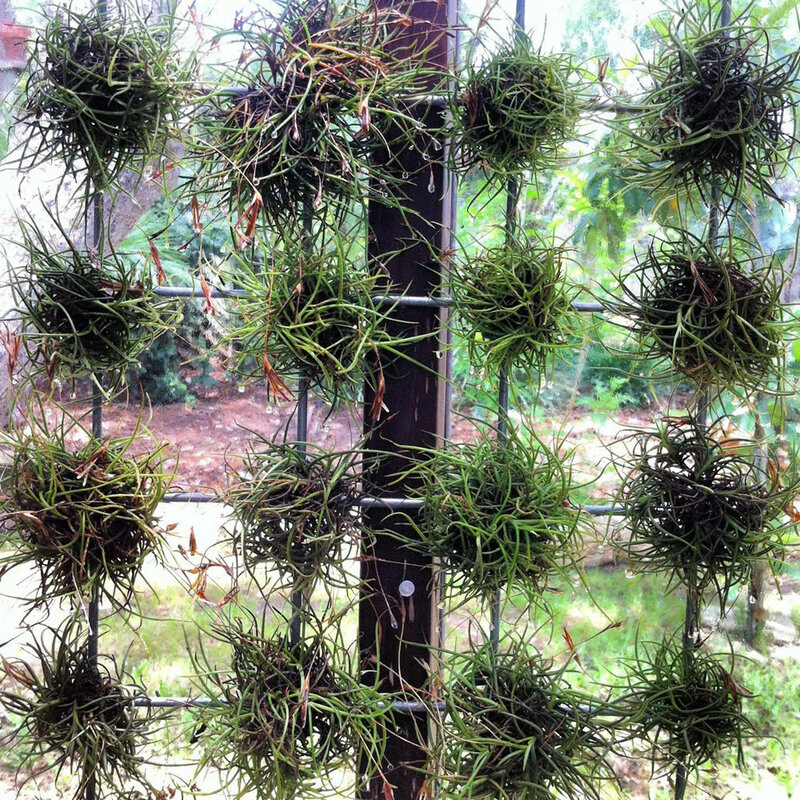 Description: Tillandsia usneoides is an epiphyte which absorbs nutrients (especially calcium) and water from the air and rainfall. 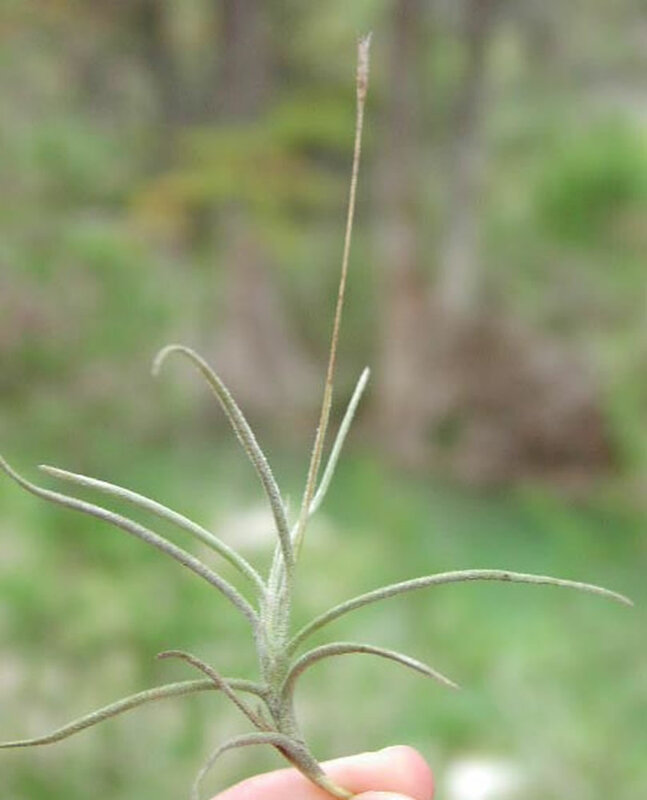 The plant consists of a slender stem bearing alternate thin, curved or curly, heavily scaled leaves 2–6cm (0.79–2.4 inch) long and 1mm (0.039 inch) broad, that grow vegetatively in chain-like fashion (pendant) to form hanging structures up to 6m (240 inch) in length. 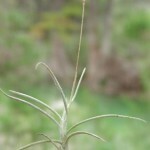 The tread-like stems covered with grey scales are in reality, minute, scaly leaves. 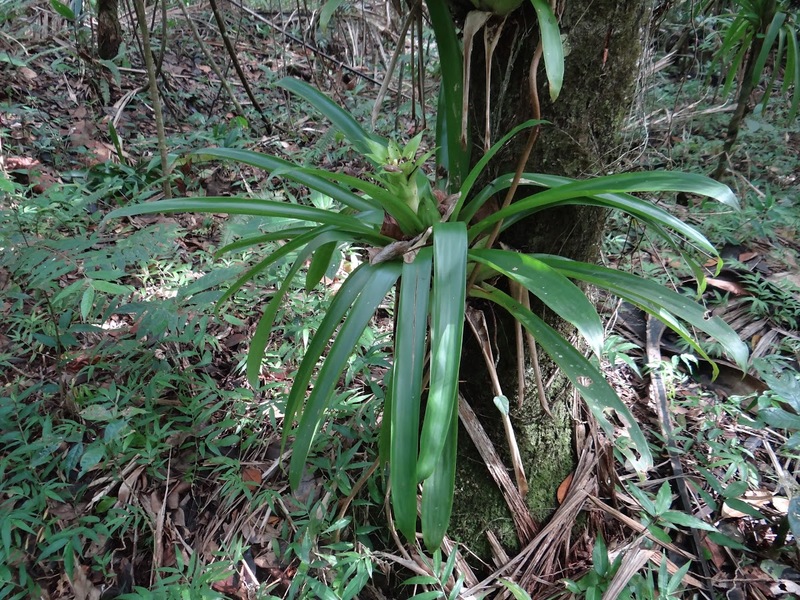 The plant has no aerial roots and its flowers are tiny and inconspicuous. 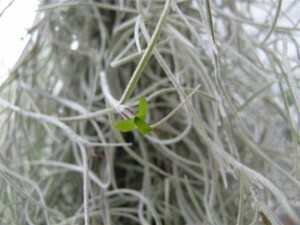 The tiny, pale green flowers that appears in the leaf axil of wild Tillandsia usneoides, rarely bloom on plants grown indoors. 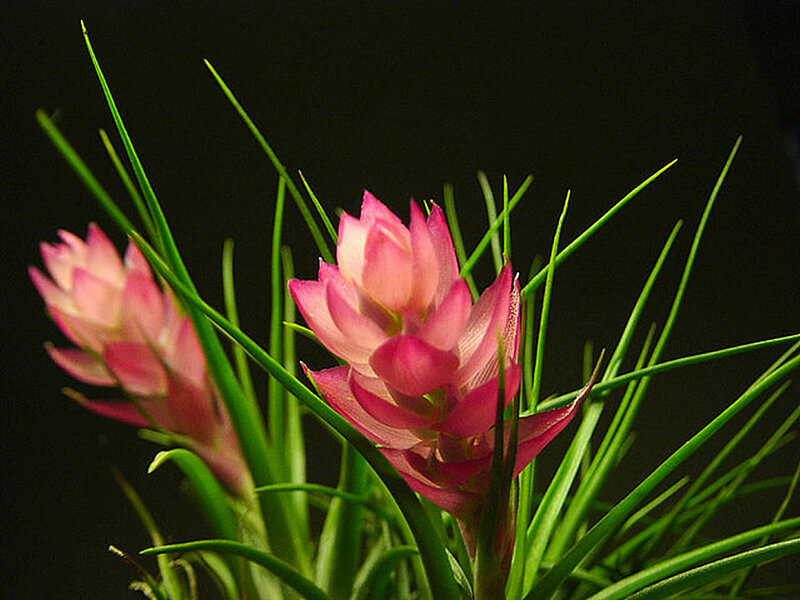 The flowers, with a musk fragrance, appear in the warmer months. 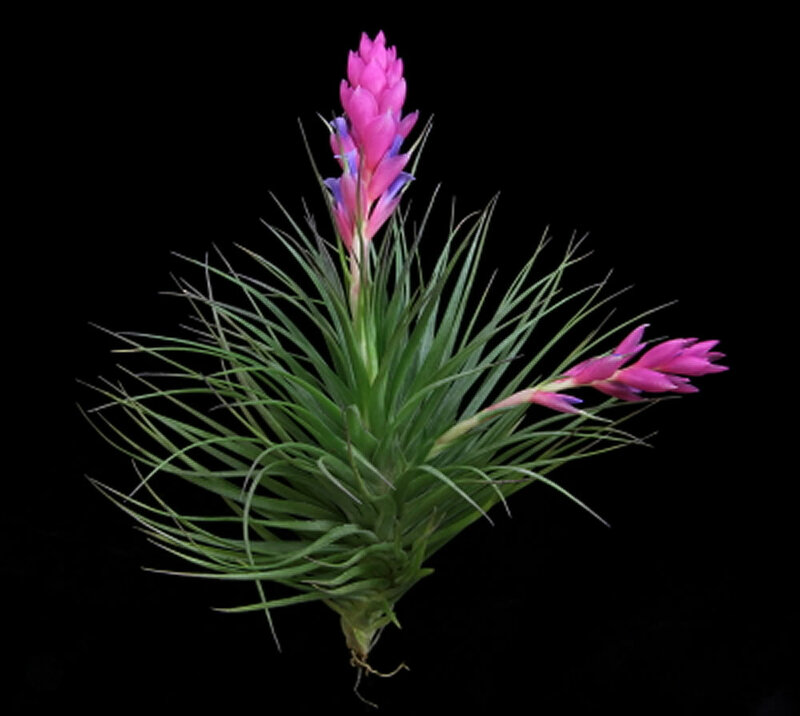 Light: Tillandsia usneoides used as house plants do best in bright filtered light (a translucent blind is a useful filter). 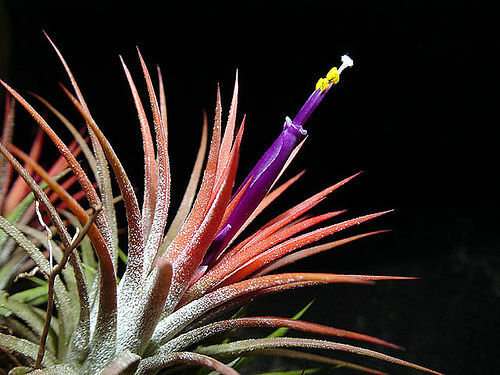 Temperature: Tillandsia usneoides will grow actively through the year if the temperature in kept above 15°C (59°F); they cannot tolerate temperature below 13°C (55°F). 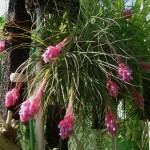 Watering: Watering is essential for good growth, a soaking every day or two in summer and fortnightly in winter will keep the plant at peak condition. 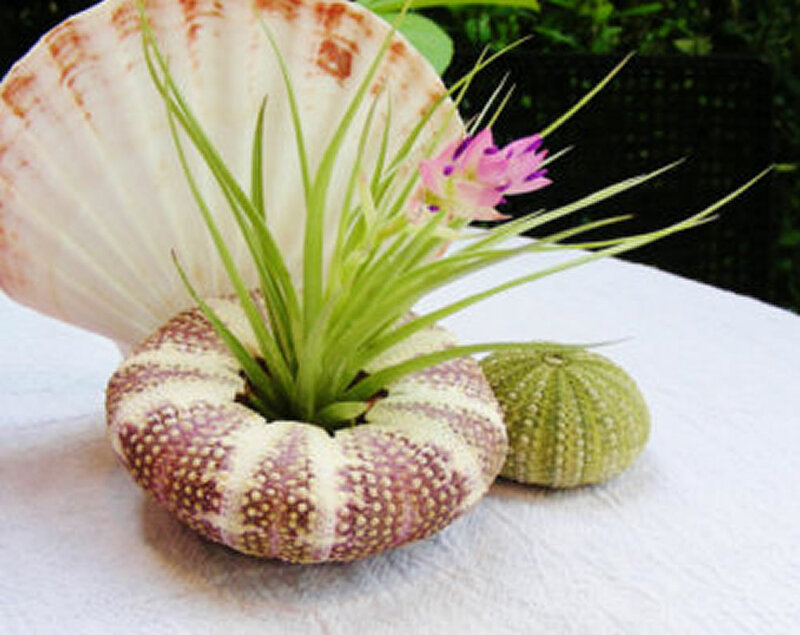 Submerge the plant along with its base in water for 10 minutes. Avoid hot or dry environments and full sunlight unless sprinkler systems are installed or regular watering is available. 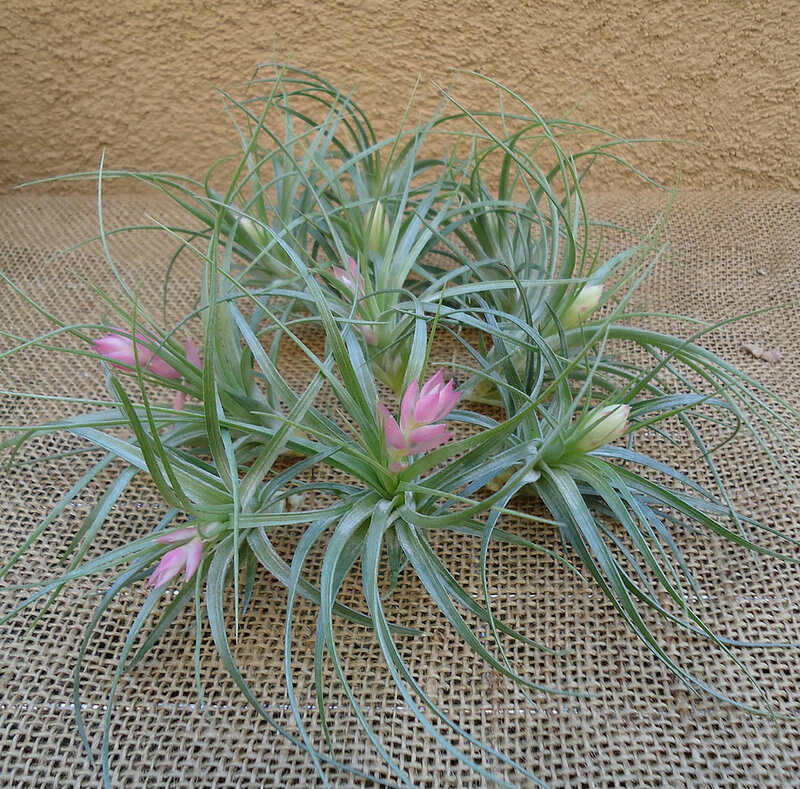 Tillandsia usneoides will tolerate full sun in moister climates; in arid climates it must be sheltered. Fertilising: Occasional fertiliser in water will speed up the growth. 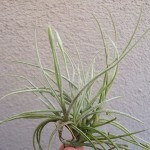 Potting and repotting: Tillandsia usneoides is not actually use as a potted plant being rootless. 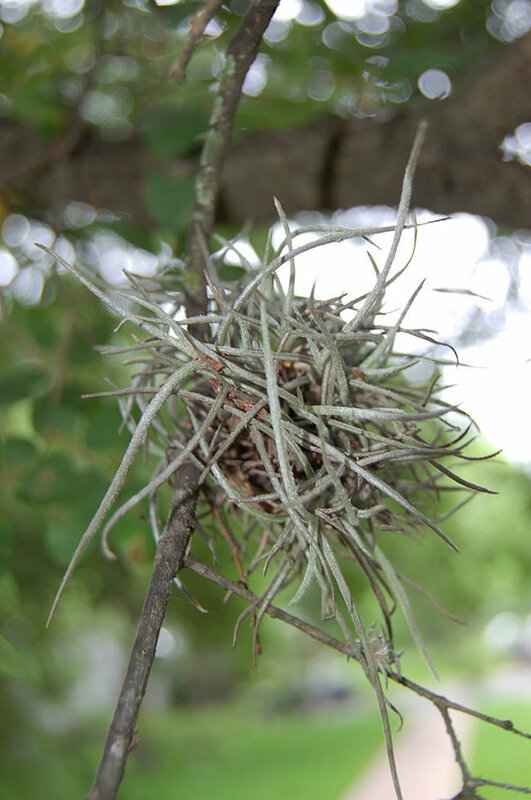 Propagation: Wild Tillandsia usneoides propagates both by seed and vegetatively by fragments that blow on the wind and stick to tree limbs, or are carried by birds as nesting material. 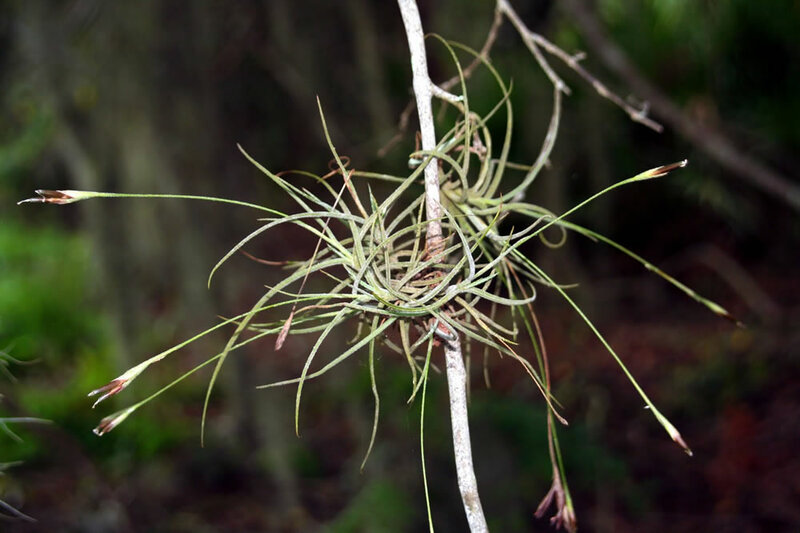 To propagate Tillandsia usneoides detach a few stems and wire them to a piece of cork or bark. 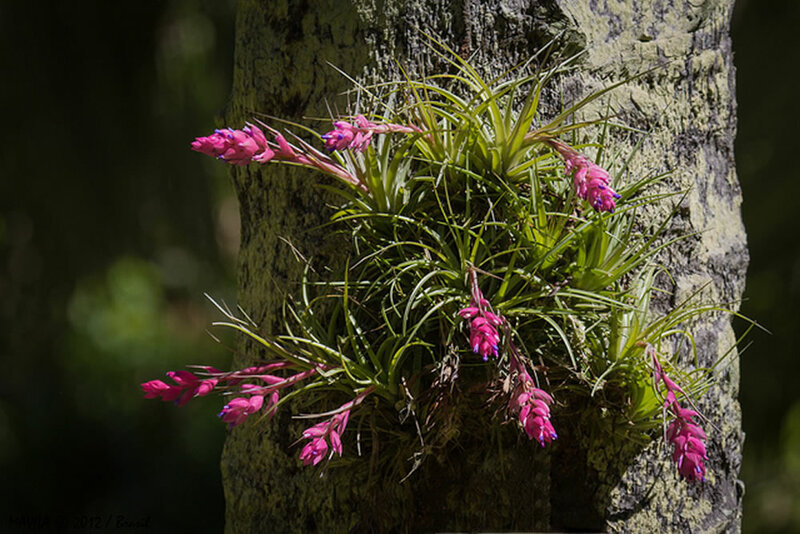 Problems: Tillandsia usneoides does not suffer from diseases or pests other that birds can use the plant as nesting material in spring. 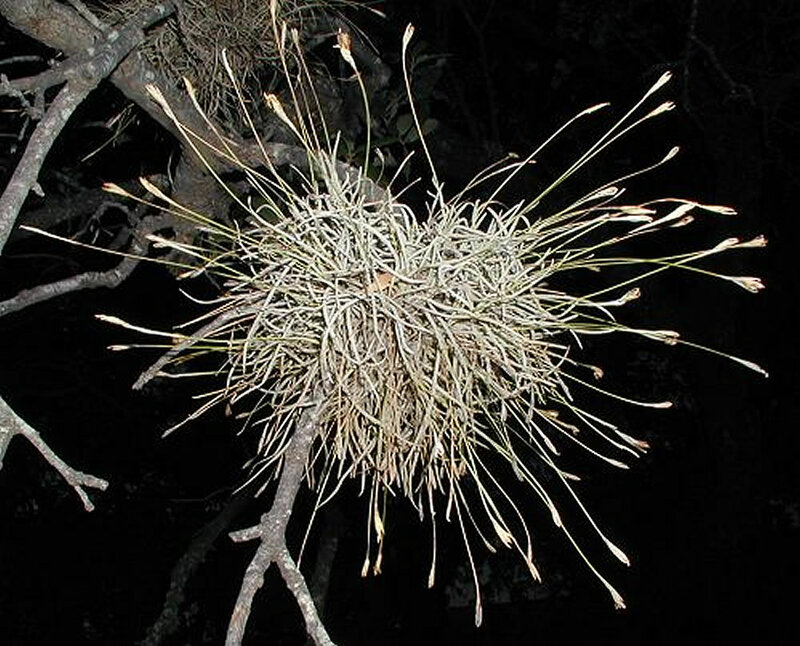 Uses: In the wild this unusual, virtually rootless plant hangs from trees and rocks in long, tangled festoons. 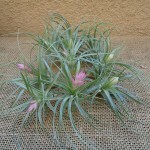 Tillandsia usneoides for this reason is not actually use as a potted plant. 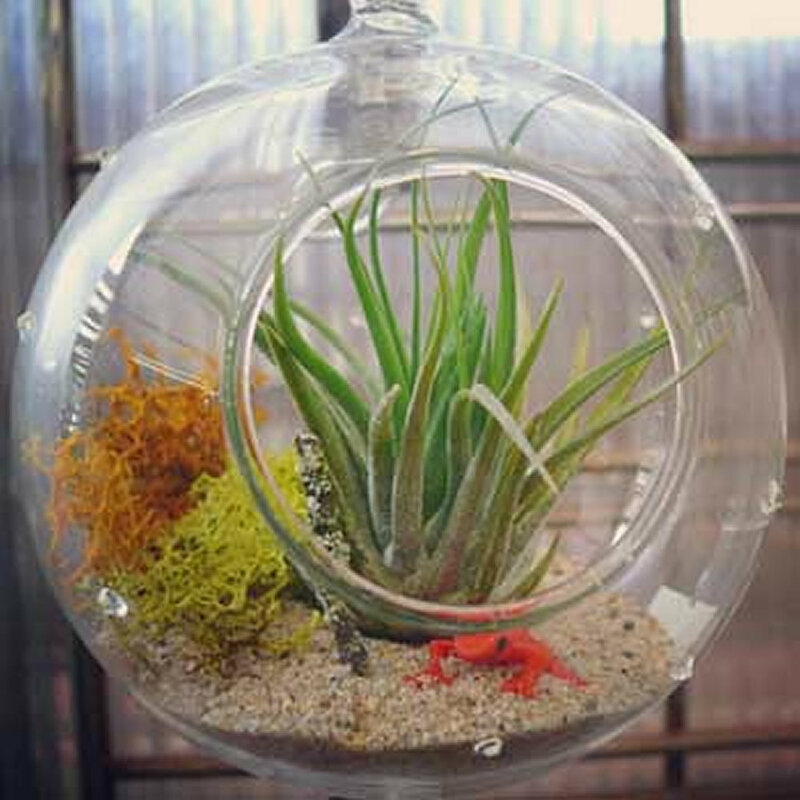 Instead, many indoor gardeners attach a few sections of the tangled mass to a 5cm (2 inch) square piece of cork or bark, tying the fine stem on loosely with plastic coated or copper wire and hanging the cork on a hook. It can also be trained around garden decorations and it looks pretty growing on the branches of a silver birch tree. 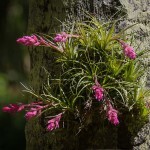 It can also be used to accompany other bromeliads or epiphytic orchids grown on a tree fern or in tree branches. 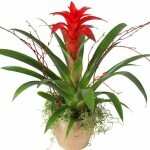 Small compact species to 8cm, clustering habit, flowers appear in warmest months on red foliage, hardy, great indoors. 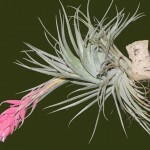 Tillandsias – Nature true wonders, able to take all water and food through their leaves these remarkable plants are masters at adaptation, the lazy gardeners ideal companion. 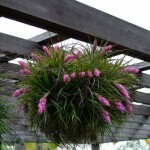 Location: Outdoor in partly shaded areas, in cold climates in a dry position, in warmer areas almost anywhere. 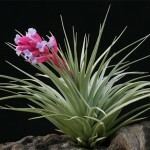 Silver varieties can take more sunlight. 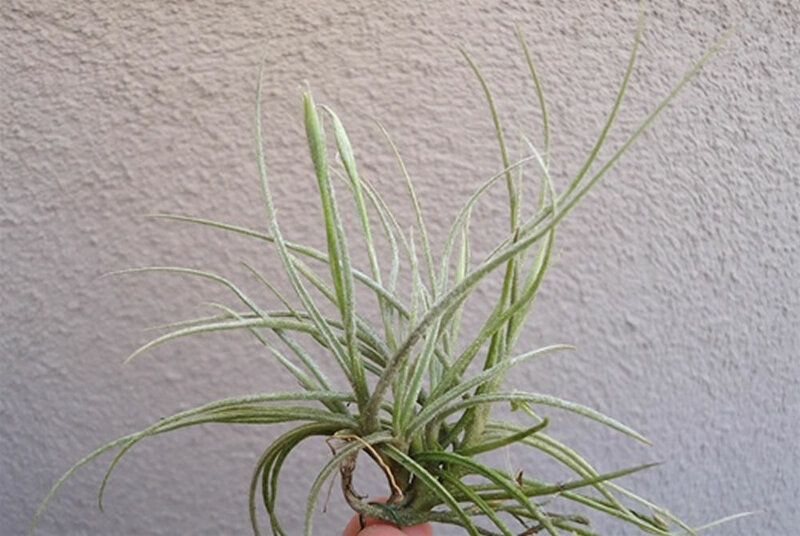 Planting: Tillandsias can be attached to objects with the use of plastic coated wire, tie wire, hot melt glue or any non toxic glues onto any object. 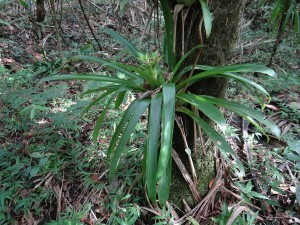 The plant feeds through its leaves not roots. 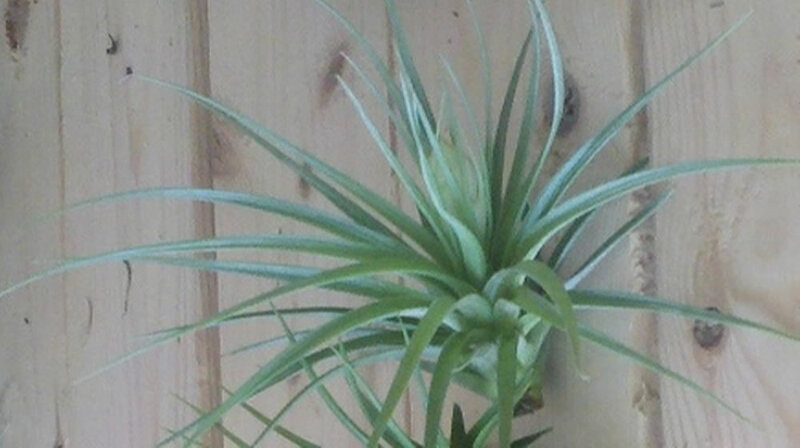 Watering: Tillandsias require regular;ar watering as they have no access to water like normal plants and rely only on the water stored in their leaves. Water can be applied by hose, watering can, mist spray bottle or dunking. A good soaking is required. 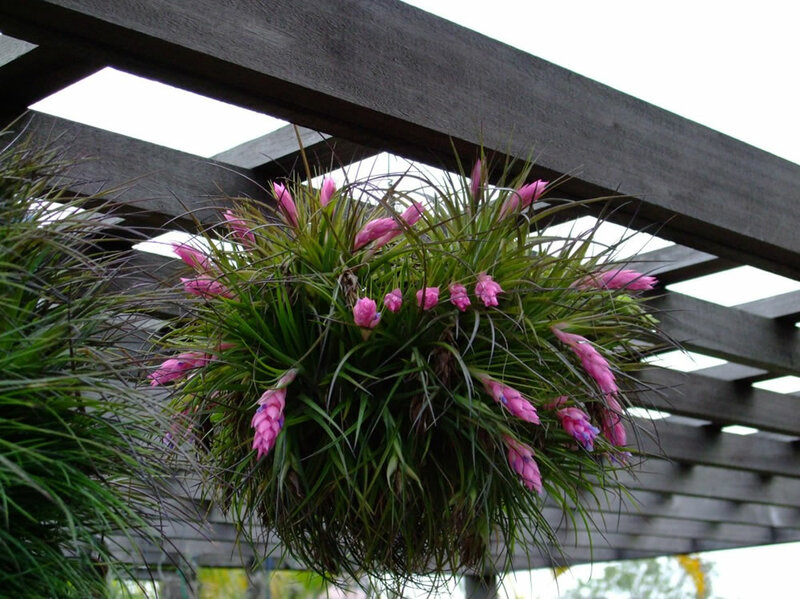 In hot or dry areas they can be watered up to twice a week and in cooler, more moist environments every one to three weeks. 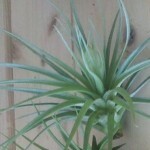 Tillandsias should be allowed to almost dry out between waterings. A weak dose of fertilizer can be added to water in summer mounts. 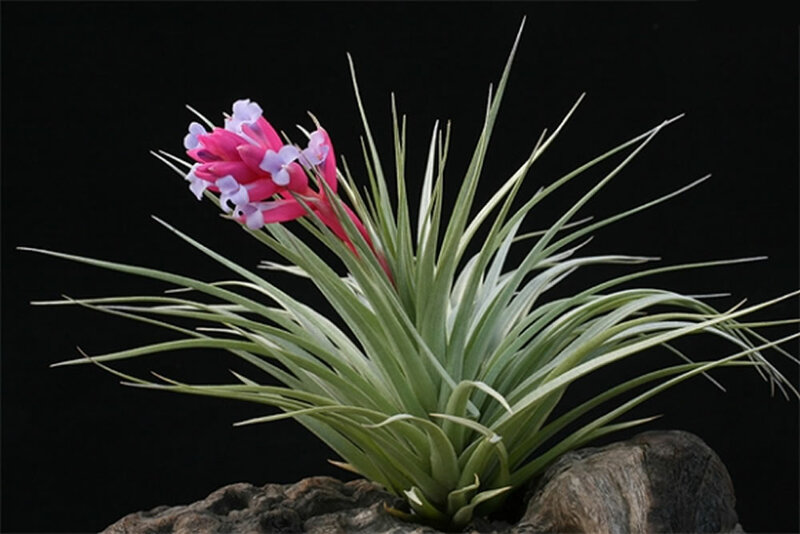 Flowering: Flowers appear once plant is mature, this can take 4 to 20 years depending on variety, once flowered new plants will appear which will flower once the new plants are mature. 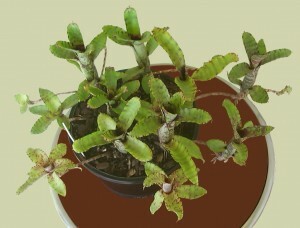 Miniature species fully grown at 8cm. Fast growing small blue flowers appear when mature. 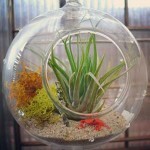 Hardy, great indoors or outdoors. 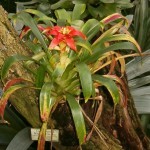 Neoregelia Lilliputiana are a hardy group of bromeliads used for planting on trees and walls. 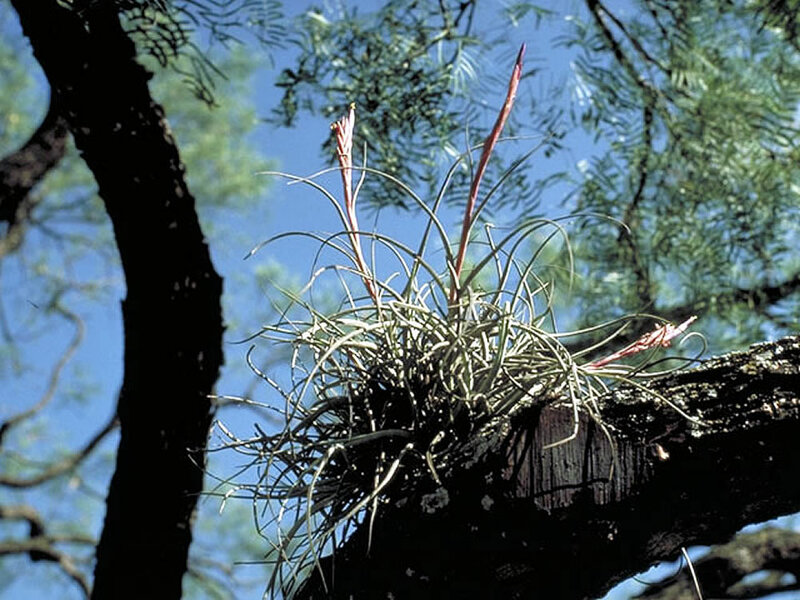 Offsets generally appear on long runners allowing plants to spread rapidly or grow over objects. Neoregelia Lilliputiana can grow from 8cm across to 20cm across, flowers appear from the central vase and are mostly blue. 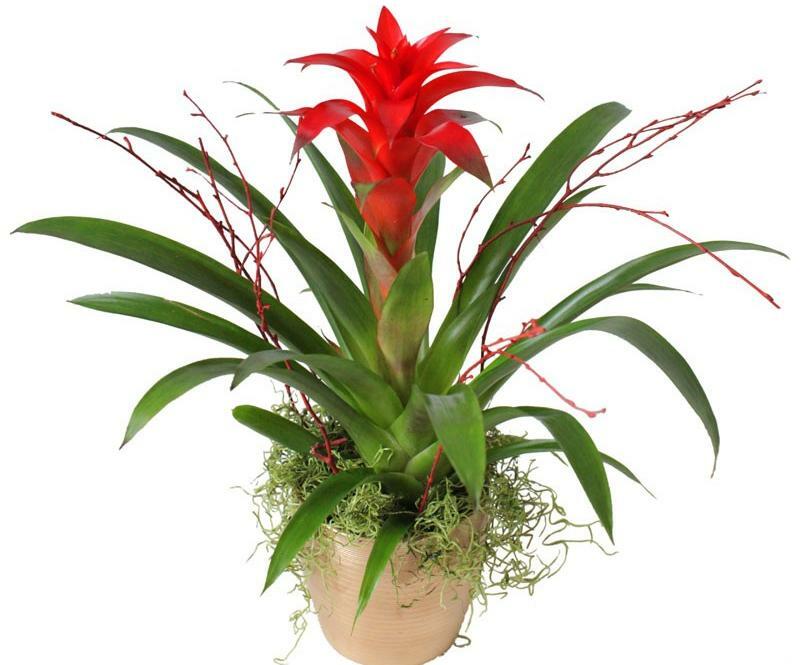 Location: Neoregelia Lilliputiana are great in any sunny or partially shaded positions, the more sun the brighter the colours, indoor the more light the better. 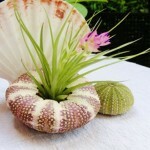 In very cold climates some cover will improve the growth. 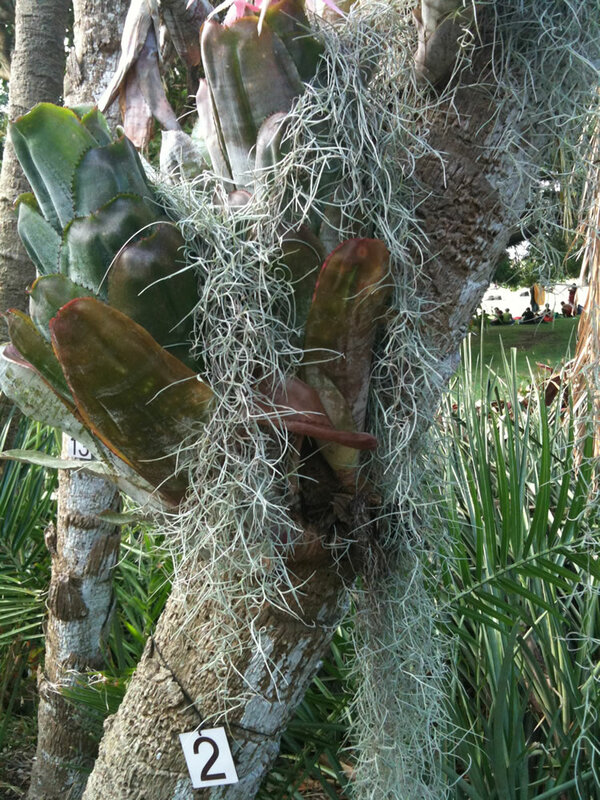 Planting: Neoregelia Lilliputiana can be grown on or in almost anything. 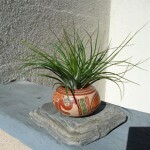 The do just as well in a pot as planted on a branch, many varieties can also grow in the garden. When planted without soil some moss can be packed around the plant base to encourage roots to start. 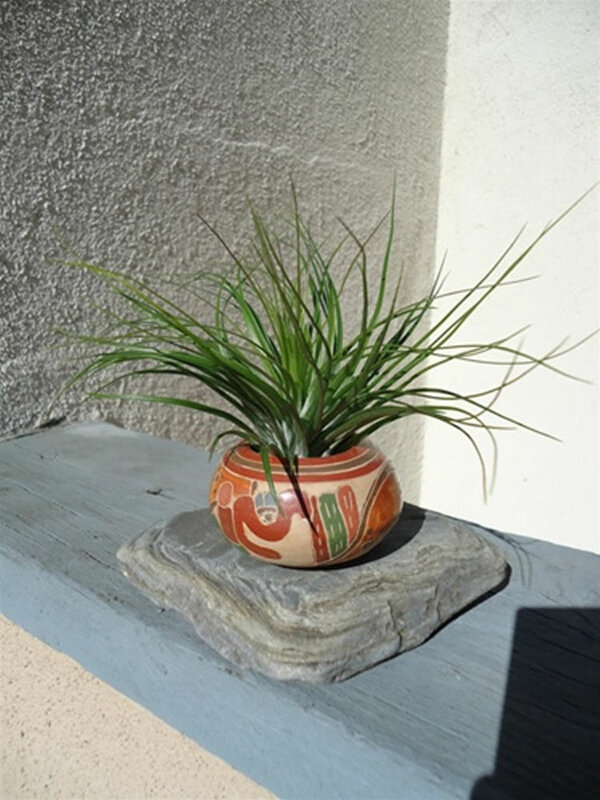 Water should be kept in the centre of plants over the warmer months and soil well watered but allowed to be touch dry between waterings. Weak doses of fertilizer will improve growth but may reduce colours if used to often. 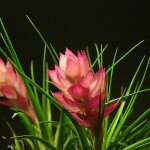 Flowering: All bromeliads are able to flower once they are mature unless kept to dark. 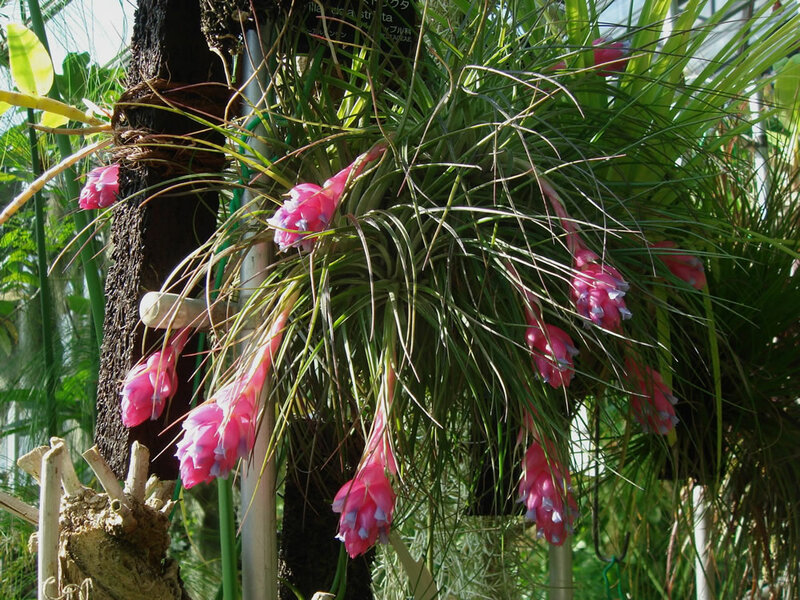 Flowering is triggered by the presence of composting gasses, in clean environments this may not be present so flowering may not occur. 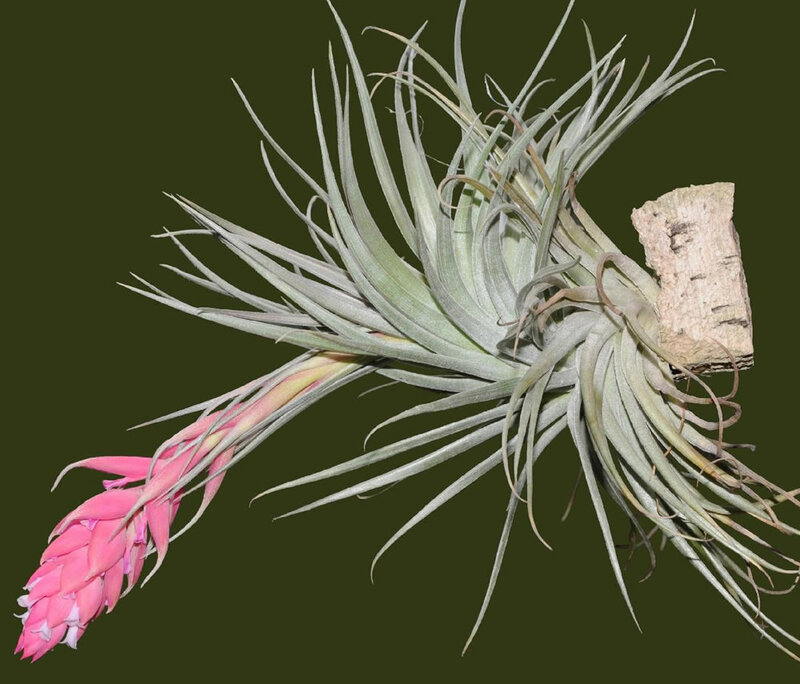 Adding liquid from rotting fruit will allow flowering to occur.